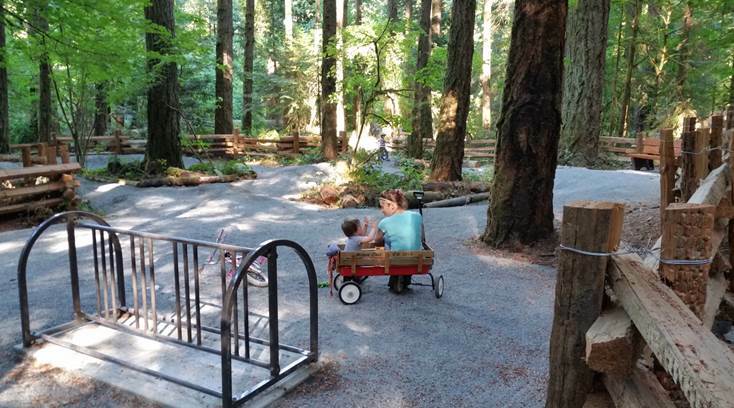 The Goldstream bike park opened in late spring of 2015. 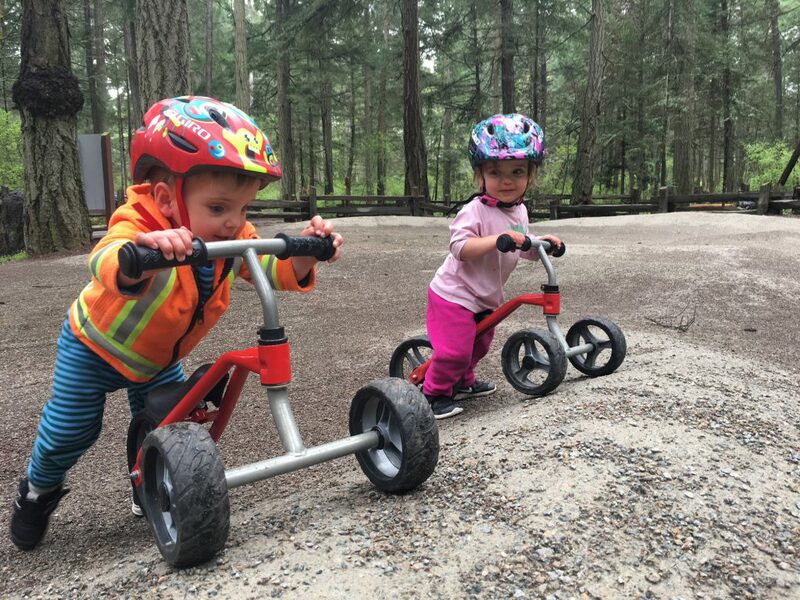 Six years ago, Kirby Villeneuve was invited to experience the excitement brewing at BC Parks’ first bike park at the Alice Lake Provincial Park campground. Located near the playground, the bike park is geared towards beginner riders under the age of 10, and it’s often packed with enthusiastic people. Villeneuve saw the potential for something big. In 2013, Villeneuve brought a figure-eight pump track (which is like a mini BMX track for kids complete with dips, bumps and banked turns) to Vancouver Island’s Rathtrevor Beach Provincial Park. It was packed every day by 10 a.m., and its popularity hasn’t slowed down. As mountain biking becomes more popular, so is the demand for construction of pump tracks and skills trails in or around BC Parks. A total of 11 pump tracks have now been built within provincial parks and Villeneuve keeps getting calls to develop more. Villeneuve’s latest project is the proposed construction of several multi-use trails in Englishman River Falls Provincial Park near Errington. The project is currently at the public engagement stage and will be used by mountain bikers, hikers and runners when completed within the next three to five years. A pump track was also recently constructed within the park’s campground. In order to develop the multi-use trails, Villeneuve typically forms a partnership with local bike clubs to assist with construction and long-term maintenance. Then BC Parks goes through a full impact assessment process, looking for the presence of sensitive ecological or cultural values that may be nearby or recreation conflicts before any public engagement takes place. The bike parks, pump tracks and multi-use trails are designed to avoid damaging any large trees and root structures. Mapped and plotted using a GPS, the trails are carefully laid out with pin flags before the top layer of organics are removed either by hand or machine. It’s a process that can significantly vary in terms of time and effort, depending on the terrain.